Tsung-mi’s early life is unique because it did not fit the mold of the typical Ch’an monk. Usually contact within the Buddhist monastic-community happened at an early age, between childhood and the early teen years. Tsung-mi came from an elite family and he began his early non-monastic education as a young child well-into his late teens fervently studying the Chinese Classics; this was a pivotal development because his early formation was firmly rooted in a “Classical vein” which helped to form his stature as a man of the fine-arts, a distinction that empowered his most erudite mode of expression. This was reinforced in his late teens and early twenties by fine-tuning this classical-exposure with a healthy dose of some Buddhist texts. Ch’eng-kuan did have a great deal of respect for Tsung-mi. “P’ei Hsiu records that he is supposed to have said: ‘Aside from you who is able to wander with me in the lotus womb [world] of Vairocana? 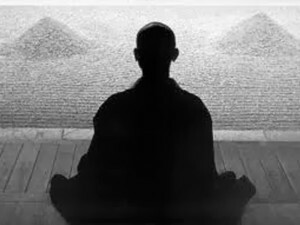 *’” (Gregory, p.61) In fact it was understood that Tsung-mi alone could fathom the deepest teachings of Ch’eng-kuan. Reading about this case, fresh off the heels of our most recent blog that discussed self-immolation in the Lotus Sutra, leaves one to speculate that perhaps Huike’s own self-amputation was not just some metaphorical device, but was a factual occurrence—indeed, spurred-on by his own profound encounters with Bodhidharma. If for Tsung-mi, then perhaps even more for Bodhidharma, would have that kind of effect on others. I could add to this list a commentary on the Nirvana Sutra that may be datable to this phase. Amazingly, this list is just a portion of Zongmi’s total oeuvre. Broughton, Jeffrey Lyle (2012-08-14). Zongmi on Chan (Translations from the Asian Classics) (Kindle Locations 377-378). Columbia University Press. Kindle Edition. This entry was posted in Tsung-mi: An Intimate Study, Uncategorized and tagged Daoyuan, Early Classical Formation, Enlightenment, understanding. Bookmark the permalink. Regarding the curious case of Huike and T’ai-kung, I’ve spent enough time in philological pursuits to know that primary sources of such events (easily bordering on the mythical, though perhaps a real event) are essential. Secondary and tertiary sources can be notoriously corrupt. I am reminded of the children’s game where one child whispers a phrase to another, and so on, ending up with the final child who repeats the phrase out loud: to everyone’s delight, almost invariably the end phrase is very different from the original one. The same thing can happen in retellings of historical events, and add with this a dose of hagiography, credulousness, and so on, it is easy to see how the event as recorded can differ from the event as it occured. I am not trying to brush these narratives aside as falsehoods, but I do think given their relative severity and potential for misunderstanding (not the least of which that comes to mind is compassion), it is certainly an episode of Zen history to take with a grain of salt unless it can be confirmed with a certain degree of primary evidence. In short, if it is possible this occured, I think it is also possible it did not. Then again, stranger things happen all the time. So who knows, maybe he did it. Perhaps Huike showed as his bona fides to Bodhidharma a willingness to cut off his arm, which was recorded as having actually done it. I am not sure Bodhidharma would allow this. Or perhaps he did. And then, later, perhaps knowing this previous account, T’ai Kung may have attempted to emulate (perhaps sucessfully) the sacrifice of Huike. I can confirm from my own experience of a sudden awakening (and apologies to all who realize it differently, but I need no outside confirmation from any master regarding the authenticity of this event, satori, kensho, rapture, call it what you will, my life verily changed at that moment), for quite some time I felt like I was literally jumping out the top of my head. If Huike or Tai-kung had a comparable (and presumably more profound) experience, I can easily see how such a thing might occur in the aftermath of such a profound realization. Be this as it may, my view is that Zen probably doesn’t need more than one self mutilation to populate its teachings, and in any case a symbolic gesture is perhaps a better path than a literal one, even if it did occur. I would also like to say whether Vajragoni’s choice of this series was intentional, intuitional, or mere good fortune, it is most appreciated by this reader. While of course I have encountered the sudden vs. gradual enlightenment debate before in my studies of Zen, I was not aware of Tsung-mi’s contributions to the topic. That said, even though in my case there was a “sudden burst” that has been followed by gradual and incremental realizations and ever deeper penetration of sutras that previously would almost certainly have bewildered me, I do not feel this is some kind of cosmic template. I think people awaken in their own way, time, traditions, and manner and in this infinitely vast dimensionality of spirit, it would not come from me there is only one way. In fact it has been through liberation of my mind from such constraints that I have been able to get anywhere at all. This choice was at the back of my mind for a long time; it just seemed right. In my estimation, Tsung-mi is THE herald of the Sudden AND Gradual approach. There needs to be ample time for the Awakened-Seed of Bodhi to take root; in this manner one’s practice reaches different levels of maturity. Any hoot, at some point down the road a series will be in the works for the “Sutra of Perfect Enlightenment”—which was the root source of Tsung-mi’s appreciation of Sudden and Gradual. ; am enjoying your insights. It appears there is nothing here (yet) about the 4th century Indian sage Vasubandhu, who is referred to above, but apparently to be found nowhere else on this site. I came across a reference to him in my solo studies and thought I would cross reference your commentaries for more detail, but this single posting (above) is the only instance I could find on the site. Is there any plan to include a survey of Vasubandhu’s works (something which interests me is his commentary upon the Madhyantavibhaṅga) before you go into retreat for the upcoming period? I hate to bother you with this as things are winding down, but chances are if you don’t have something worthwhile to say about Vasubandhu, it will be highly unlikely to encounter anyone else in this saha-world who does, at least any time soon. I realize this may be a difficult request due to the complexity of Vasubandhu’s canon, as well as the recognition that a considerable number of people have concluded no single person could have been responsible for his works. Even so perhaps it would be fruitful to register your commentaries on this mystic of particular interest to my studies. I hope so, dear friend. Today I had the great misfortune of walking into a shopping mall after a period of sustained spiritual reflection and relative isolation, where I have been penetrating deep into the mind. I don’t know how long it has been. What I saw was like stepping into an abattoir. Instead of blood and pus running everywhere there was sickly perfume and huge glossy images of distorted human figures in grotesque poses, humanity reduced to its commercial value like crushed and slaughtered animals. I’ve never been fond of such places, but for some reason now what I perceive there especially strong. I felt spiritually ill in that place. There were people sitting there, completely oblivious to the horror of what was around them. They were like spiders lurking around, ready to consume or be consumed. I wanted to get out of there. If I have taken for granted every opportunity for spiritual reflection before, even amid our differences of doctrine or faith, it is becoming quite clear to me now how few of us there are in this perverse and distorted world of complete confusion, and how precious it is to devote whatever time we have to spiritual awakening. I offer my sincerest prayers for your fruitful reflections during your retreat, and my humble friendship for whatever it is worth. Thank you for sharing your reflections along the way. Quite a moving exposé on the existentialist angst that is part and parcel of the samsaric-experience; you’re right, few there are who awake from the nightmare and remain like complete “oblivitons”. It’s almost as if your coming out of the Light has revealed the sickness to the nth-degree. It’s a hard reality to grasp that the medicine of the Buddhadharma is bitter-sweet—everything else composed leaves that bitter taste, but the sweetness of the Sugata brings moments of sheer transcendent ecstasy. It’s a hard realization for many on this spiritual path—this is the Dark Night of the Soul that John of the Cross writes about, which is far more deeply-nuanced than the earlier dark night of the senses which was just the initial willingness to enter that Cloud of Unknowing. Hang-in there, it’s a hard road to tow, but it’s the only way of owning the Real. This entire lifetime has been one long dark night.